The horror of war and the personal trauma it imparts on soldiers might seem antithetical to the peaceful nature of fly fishing. 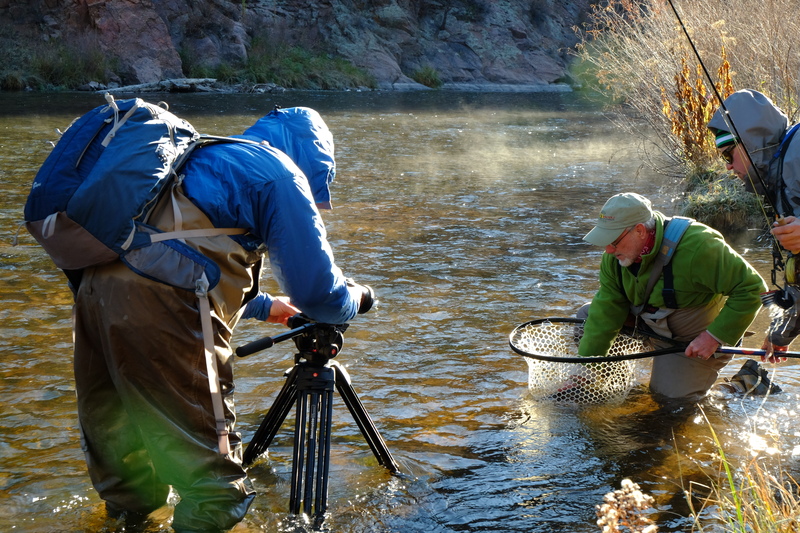 However, Colorado videographer Scott Thompson skillfully weaves those ideas together in “Breaking Through: The Story of Larry Fivecoats,” a compelling look at a Vietnam vet who comes home, hovers on the brink of suicide and finds his peace fishing flies. Thompson’s video is a portrait of the burden soldiers carry — and a postcard for hope. It is one of 11 memorable fly fishing videos in the 2015 Fly Fishing Film Tour showing in eight Michigan cities this winter. Fivecoats’ story of personal angst is written in his eyes. He unflinchingly recounts a battle mission gone wrong and his destitute moments after coming home. A key element in his recovery comes from Project Healing Waters Fly Fishing Inc., the nonprofit that grew out of a program for wounded vets at Walter Reed Army Medical Center. It now operates in 48 states and aided 5,400 vets in 2013. Thompson, the filmmaker, is a Project Healing Waters volunteer who decided to produce a video for the organization. It was shot with “little to no money,” he said. Its focus is on the man, not the group. The realities of the world we live in are woven wonderfully throughout this year’s film tour, which mixes extraordinary fishing footage with thoughtful discourse about climate change, Cuba as a fishing destination and the benefits of leaving the digital world behind. Trailers for each can be found online at flyfilmtour.com. “We have a lot of variety this year,” Powell said. “We have travel to Iceland, Cuba and Mongolia. And we have videos about fishing taimen, tarpon and carp. “Carpland,” produced by Beattie Outdoor Productions, is one of my favorites. Carp historically have been thought of as trash fish. The film discusses their origins and past popularity using creative cartooning. Then it takes viewers out on various waters where fishing them now is popular. Prepare for a belly laugh when the film crew gets to Illinois and attempts to catch flying Asian carp with a long-handled net while being towed behind a boat. It may not be fly fishing, but the fish do fly. The two-hour tour opened in Marquette on Saturday. A complete list of upcoming shows and tickets for each also can be found at flyfilmtour.com. Many showings are hosted by local fishing groups and are open to the public. The Ann Arbor and Grand Rapids showings, Feb. 27 and 28, respectively, are the only two Michigan showings on the “primary tour,” Powell said, which means the film tour road crew will be on hand to keep things lively with plenty of goodies to give away. The local Schrems West Michigan Trout Unlimited chapter will be giving away a TFO Bug Launcher kids’ fly rod at the 4 p.m. show. 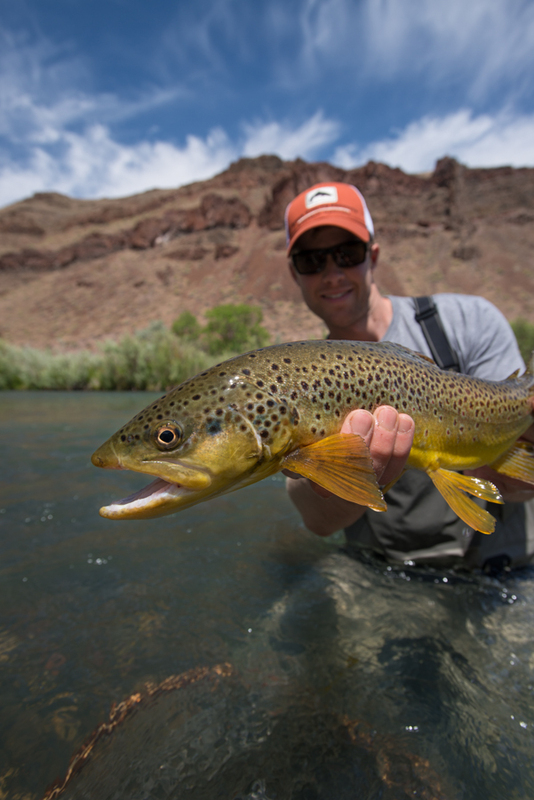 The Fly Fishing Film Tour is one of my favorite mid-winter events. When it’s too cold outside for most of us to enjoy fishing, there are few things better than enjoying it vicariously with a packed house of others who are just aching to get out. • Feb. 19: 7 p.m, Royal Oak, Emagine Theater, 200 N. Main St.
• Feb. 27: 7 p.m., Ann Arbor, Michigan Theater, 603 E. Liberty St.
• March 6: 7 p.m., Traverse City, City Opera House, 105 E. Front St.
• March 11: 7 p.m., Midland, Oscar’s Restaurant and Entertainment, 140 E Main St.
• May 1, 7 p.m. Dogwood Center for Performing Arts, 4734 S Campus Ct, Fremont. This entry was posted in Uncategorized and tagged Carp, Fish, Fishing, Fishing Video, Fly Fishing, Salmon, Steelhead, Trout. Bookmark the permalink. Thank you. Be sure to get to a showing this winter. It’s a hoot.